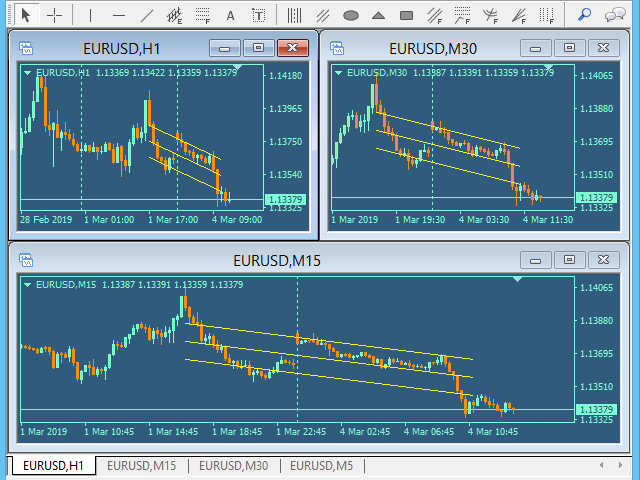 Universal Line Studies is a professional tool that ensures a real-time synchronization of all graphical objects available on MetaTrader across multiple charts of the same symbol. 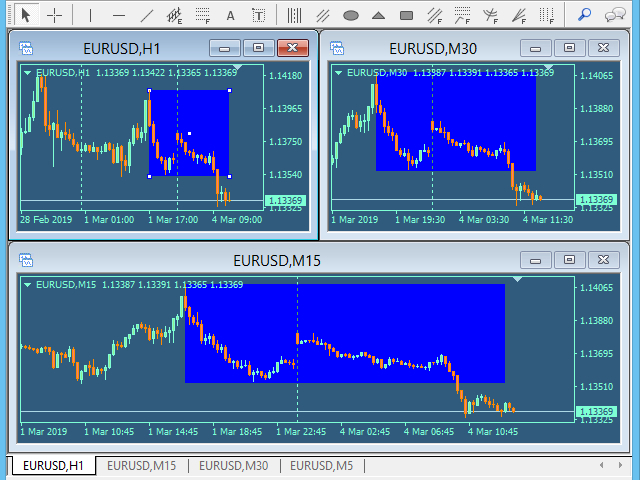 Designed for time-poor traders, now when monitoring multiple timeframes, you won’t ever need to draw the same object multiple times over and over again! 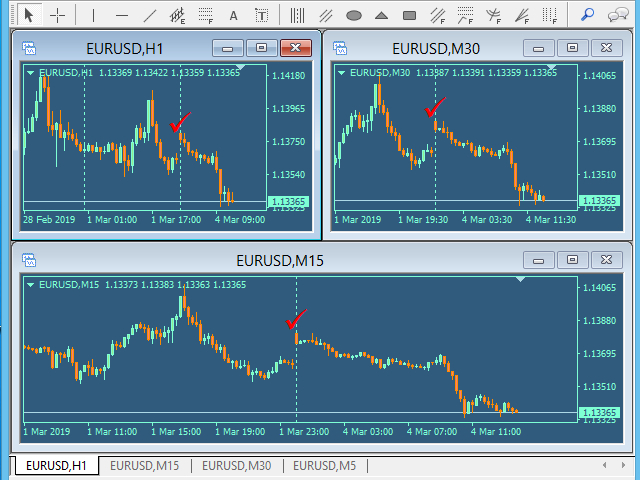 Once the indicator is added to a “Primary” chart, all objects currently drawn on that chart will be synchronized to all other open charts of that same symbol. 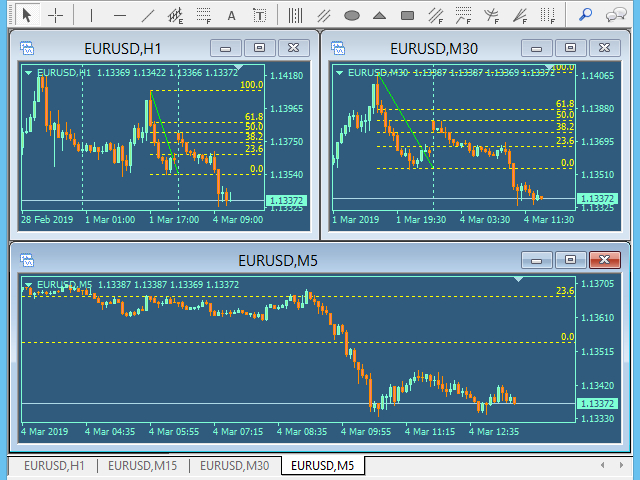 Any modifications you make such as object adjustments, adding of new objects and deletions will also reflect on all other open charts of the same symbol. 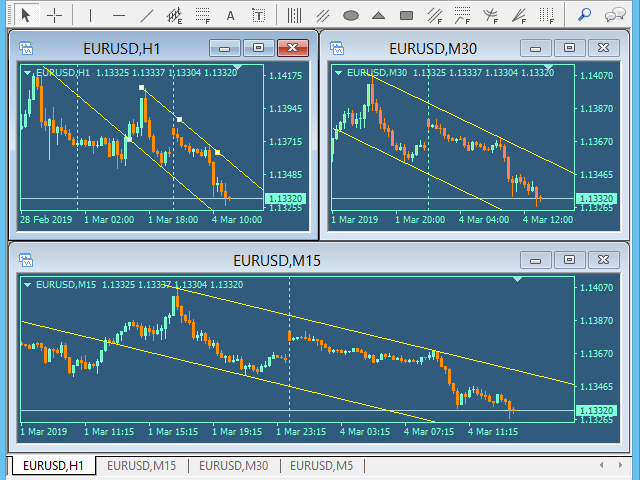 It is a powerful utility specifically for charting Technical Analysis. This product is available for both MT4 and MT5 platforms. Click here for MT5 version. Note: Free Demo version of this product doesn't work in the Strategy Tester for back-test! To see how the program works, please use the Free Version from here with limited options. 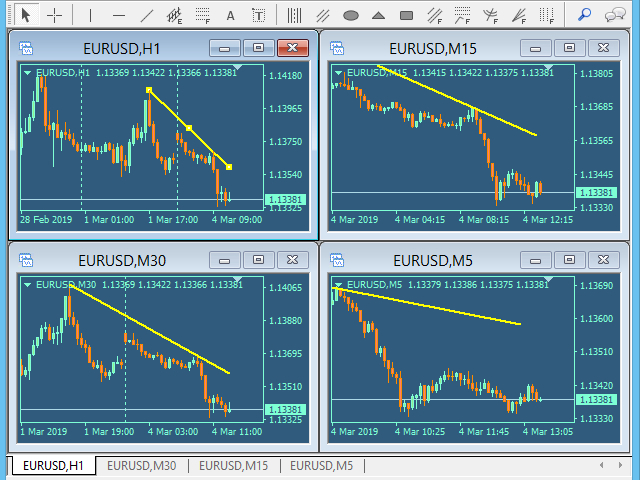 Universal Line Studies helps you easily organize various chart analysis by Trendline, Triangle, Fibo channel, Gann line, Cycles, Text labels, Pitch fork, Arrow and all other objects that exist in MetaTrader. You can see the full list of objects in below. Do Not Copy: If selected, the Object type will not be reproduced onto other charts. Copy With Prefix: If selected, the Object type will be reproduced and synchronized across all other open charts of the same symbol if the Prefix is used in the object ‘Name’ field. Copy All: If selected, the Object type will be reproduced and synchronized across all other open charts of the same symbol regardless of the information in the objects’ ‘Name’ field.